You are a busy person and it seems like every time you turn around something with WordPress or plugins requires updating! You put it off because you have a list of other things you just have to get done. Plus, that little voice in your head reminds you that your aren’t sure how to do those updates without the fear of breaking your site. You worry if your site is fast enough, is your SEO good enough, what should my next move be? What if I get hacked? All this can be overwhelming and lead to paralysis. You don’t update. You don’t look at ways to improve your site’s speed and security. Your SEO? Well, you don’t know who to believe so you put some keywords here and there and cross your fingers. Strategy to improve and grow your traffic? What strategy? You wish you could learn how to use everything WordPress has to offer — but where do you start? Imagine the weight off your shoulders if you didn’t have to worry about any of this! My Focus is on Coaching and Mentoring…. What if you could avoid costly mistakes and receive the guidance and coaching you need to enjoy success? Unlike many other WordPress support services, I offer plans that concentrate on teaching and coaching you to have the data, knowledge and skills to be as self-sufficient as possible. Over two decades of experience has shown that those clients that really embrace “working” their site are the ones who produce the most ROI! The beauty of WordPress is you can easily add and modify your own content negating the need of having a techie on call for every little website change! With my Guide and Coach plans you are offered my VIP Rate for any additional work that you may prefer to commission that is not included in your plan. Subscriptions are per website. If you have more than one WordPress install, contact me for a custom quote. Choose the plan that fits your needs! My White Glove WordPress Support plans offer the security scanning and backups needed to protect your investment. My Coach Plan also includes unlimited access to the Members Only area on my website. An extensive Library of 40+ WordPress Training Videos: Learn how to use WordPress at your convenience. Over 100 Premium WordPress plugins at no additional charge for the duration of your subscription. Including speed enhancing Hummingbird and WPSmush Pro image compression plugins just for a start! Helpful PDFs and eBooks about SEO, How to Increase Traffic, Marketing, Trends and much more. I dig up the best resources so that you can read, learn and thrive! My constantly updated list of handpicked and reliable resources, studies and infographics to guide you as you build your site. 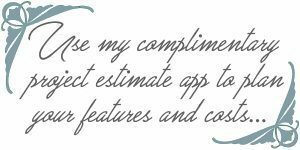 I seek out the info and tools I know can help my clients to excel. White Glove Support Service Plans with Consulting and Coaching! Choose the plan with the features you want! Daily or Monthly Database Cloud Backups: Off-site (not on your server). If your server crashes, how do you get those backups stored there? Off-site backups are mandatory! Daily Sucuri Security Checks: We’ll be able to immediately detect malware and if your website is blacklisted. The last thing you want is to discover is that Google is warning searchers that your site has malware! My Mentor Plan includes real-time email notifications of any issues to your email address of choice. SEO Tracking & Reporting: Get a basic overview with my Helper Plan. Or upgrade and you’ll receive a 15-20 page personalized Business Intelligence Report [PDF] reflecting your site performance, activity and analytics for the entire month before. Your briefing will also include SEO tracking of your keyword ranking changes, traffic/session activity, who your competitors are, and how you stack up against them. You no longer have to separately find, monitor and record your keywords. You’ll be provided the key metrics in one place for all of your websites. Your report also gives you a timeline of how you rank, better or worse, and tracks your ranking position for you. Running WooCommerce? You’ll get a round-up of all your transactions too. Performance Status: A slow website will hurt your business — a lot. Not only with frustrated site visitors but speed is a ranking factor with Google! I will be able to guide you on exactly what needs improvement to up your score. That’s why you need to benchmark your website performance regularly and react if something needs attention. Consulting, Site Tweaks and Modifications: Time varies by Plan. REMINDER: White Glove Support Subscribers also enjoy my VIP Rate on additional work or time not included in your chosen plan and are also enjoy priority status. How do we start? First, we have to get you setup! Reach out and let me know any questions you have. Once we decide on the plan that fits your needs we’ll get everything up to date and in place. WordPress and Plugin Updates: When setting up your site, I’ll double-check if the plugins you have installed are up to date with the current version of WordPress. If not, I’ll include some alternative plugin recommendations. Google Integration: If not already in place, for Guide and Coach Plans we’ll work together to integrate Google Console/Analytics and get your site verified with Webmaster Tools. I’ll submit your site map and report back any issues that need to be addressed. If you want to do a few small things right, do them yourself. If you want to do great things and make a big impact, learn to delegate. Not having to worry about technicalities frees you up to have more time to run your business, create content and market your site. And in the process you’ll gain valuable intel you can put to work immediately! Who doesn’t want the opportunity to grab more time to actually run their business? I will make sure your site is on top of the latest updates and security warnings as they happen while providing you with the necessary intelligence to know how your site is performing. When updates are released, you need not do a thing. I’ll create a backup point and address any pending updates. You can rest assured that your site will always be running on the newest stable and secure version of WordPress and that all plugins will be updated and based on your chosen plan, with the added benefit of marketing, SEO and strategy support! 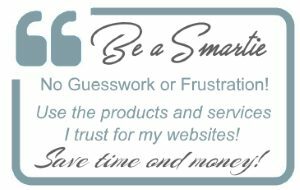 My WordPress White Glove Support Service provides you with peace of mind combined with extra coaching, direction, business intelligence and trends — which I study daily! Jump on board and free yourself to do what you enjoy! Run your business!